In popular imagining, as World War II ended Canadian women were ushered back into their domestic, homemaking lives and their political voices were silenced until second-wave feminism emerged in the sixties. In the book, From Left to Right: Maternalism and Women’s Political Activism in Postwar Canada, Brian T. Thorn demonstrates with clear and concise style that the period between 1945 and 1961 was rich with political activism enacted by women on both the political left and right in Western Canada. Instead of feeling devalued by their domestic lives, these women used maternalism as a unifying political tool to vie for a voice in the public realm. Thorn adds a richness of knowledge to a woefully underrepresented corner of Canadian women’s history thorough an examination of women involved in the Canadian Commonwealth Federation, the Communist Party of Canada and the Social Credit Party. Commendably, the book draws on experiences of women from British Columbia and Alberta, stepping outside of Central Canada to speak to regions underserved by historical research. Through these western perspectives emerges a complex history of women grappling with a desire for political visibility and voice, regional concerns and gender norms. The strength of From Left to Right is its refusal to simplify an intensely complex period of women’s activism by considering class, ethnicity, family structure, religious background, place and region. Particularly praiseworthy is the recognition of regional differences within British Columbia and Alberta. Indicating that resource extracting, urban industries fostered left-leaning politics while rural, farming industries fostered right-leaning politics is a simple enough point, but one that challenges understandings of western provincial uniformity. Neither does Thorn does shy away from the complexities in the women’s political approaches. 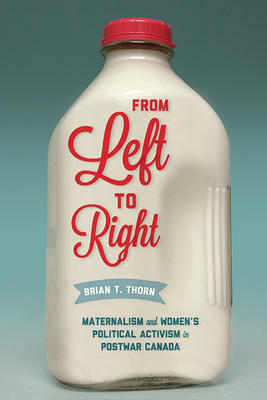 Through multiple examples Thorn reveals deeply fascinating, uncanny similarities in the approaches and experiences of women from the right and the left. Understanding women as a uniformly maternal, domestic group is now widely accepted as an outmoded and narrow understanding of female experience. Thorn acknowledges this while demonstrating how activists leveraged maternalist political arguments to make space for women’s voices in the political arena. However, it would perhaps do for the author to more thoroughly address points raised at the conclusion about whether there is an argument to be made for a continued use of maternalist views in women’s activism. While I do not necessarily disagree with Thorn’s assertion that maternalism boasts outdated conceptions of gender, a more detailed answer to the question, “Should maternalism have a place in modern feminism?”, rather than a simple, “no,” would be more satisfying to the reader. This is an example of moments in the book in which the reader is drawn in by the quality of research and writing and left with a desire for further information on discussed topics. A few similar points that came to mind included women’s involvement in the similar parties in Saskatchewan or Manitoba; women’s postwar activism beyond maternalism; and how, as suggested, postwar activism concretely contributed to future second wave feminist strategies. Ultimately these unanswered questions are one of the books strengths as they illuminate possibilities for future research. Thorn’s vital, intriguing portrait of postwar women’s activist history leaves the reader with much to consider regarding applicable lessons from women of the past for current and future women’s activist movements. 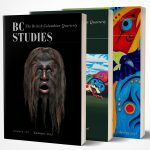 Vancouver BC: UBC Press, 2017. 256 pp. $32.95 paper.